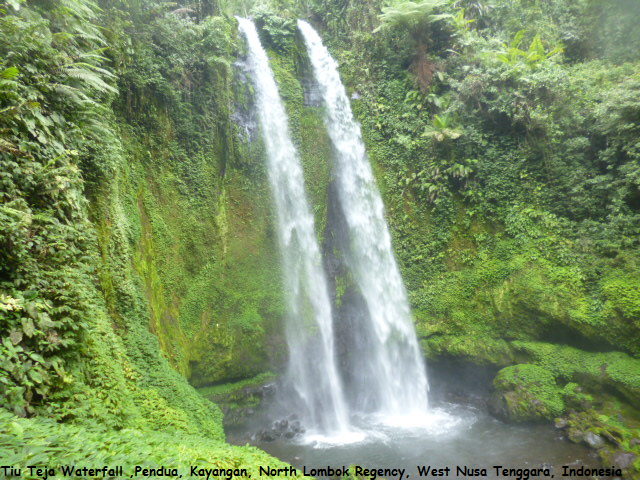 On the Indonesian island Lombok there are many beautiful waterfalls to explore. One of the most interesting ones is certainly the “Tiu Teja” in the north of the island, not far away from the village Santong. At a certain daytime, when the sun shines into the waterfall, you can even see a rainbow at the bottom of the waterfall. This makes the Tiu Teja even more worth visiting. If you wanna see it by all means, you should go there in the early afternoon and just hope that there won’t be any clouds in the sky. But even without the rainbow, the waterfall is a sight to see and absolutely a highlight, especially if you dare to go into the fresh and ice-cold water. Anyway, there are usually not many people around here, so you can be almost sure to have the waterfall only for yourself.